The smooth rock indie band plays Reverb Sept. 21. Talk about your bands whose name perfectly suits their sound, Mild High Club takes the cake. We’re talking smooth, jazzy, indie-fied Yacht Rock from a band with roots in both Chicago and Los Angeles. Skiptracing, their new album on Stones Throw Records, would fit in heavy rotation with any run-of-the-mill ’70s AM rock radio. The band says the album’s story arc is that of a “private investigator attempting to trace the steps of the sound and the spirit of American music.” One assumes it’s a story that takes place in LA, dressed in polyester, behind the wheel of a tan Chevy Nova, and airing right after The Rockford Files. Alexander Brettin: I can’t narrow it down to one currently it’s The Nightfly by Don Fagen. Kicking out the jams, learning, seeing the world, freedom. Witting in the passenger seat of the van gives me anxiety. 5. What is your favorite substance (legal or illegal)? favorite substance? Pasadena – didn’t have the full band, struggled through a living room set. Would attempt working as a budtender; would hate to be a garbage man. Actually, I’ve never heard a story about Omaha! 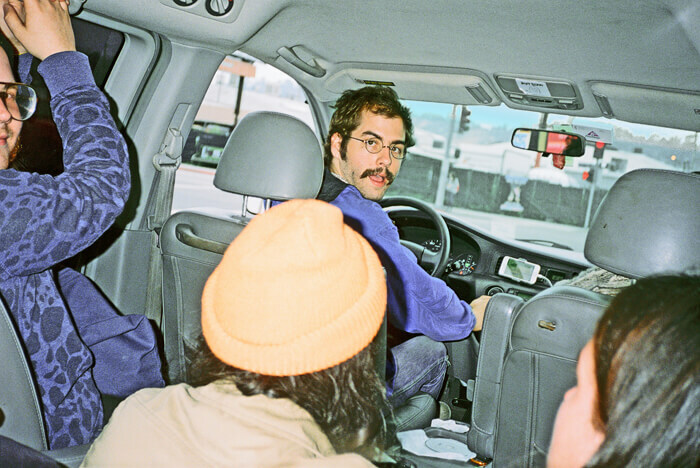 Mild High Club plays with Fullbloods and Ojai Wednesday, Sept. 21 at Reverb Lounge, Tickets are $10 Adv/$12 DOS. Show starts at 9 p.m. For more information, go to onepercentproductions.com.